Hanuman comes to our knowledge through the Ramayana, the narrative of Rama and his exile to the forest for 13 years, and the abduction of his wife Sita. Hanuman and his companion vanaras come to the aid of Rama and assist in the recovery of Sita and the destruction of Lanka, home of Ravana and his miscreants. It is thought that the Ramanaya events took place 40,000 years ago, and the land called Lanka is not actually Sri Lanka of modern geography but may possibly be Lemuria, which has sunk below the waters. We have been appraised by our ‘Cosmic Advisors‘ that the land called Lanka in the Ramayana was in fact very close to the Equator. So much further south of the existing land called Sri Lanka. We sense that the Ramayana is a replay of events that occurred 400 million years earlier and comprised the end of a cycle of similar events on the Earth, just as our Cosmic Advisors tell us that 9/11 is the replay of an earlier event in the history of this planet, and the end of a particular cycle of violence on this Earth in its forgotten past. Related terrorism events with the November 2015 Paris attacks where 137 died and 368 were injured (and 99 critically injured), closes the cycle of violence of The Crusades, the long-fought Christian-Muslim conflicts of the past. 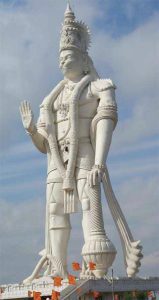 We recall on this occasion of Hanuman Jayanthi (birth of Hanuman) that Hanuman comes to protect, to end violence, to bring people to peace on Earth with understanding, cooperation and harmony based on Universal Love. 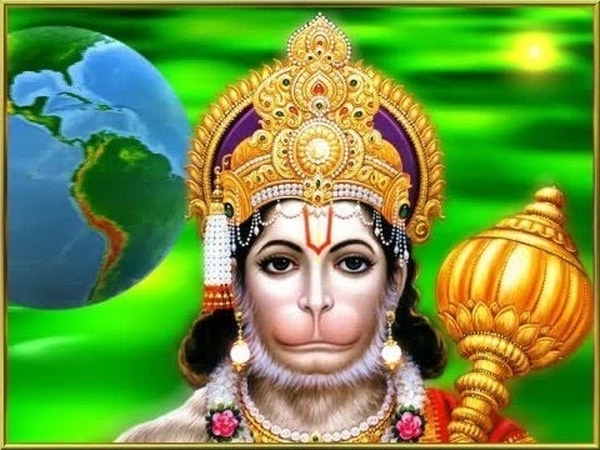 Both the Star-being Hanuman and the Hanuman who took birth as vanara (extinct race of intelligent monkeys) come to earth for this purpose, expressing the great Cosmic Plan for all life to become one with the Source of All. During the Ramayana narrative, there is one part where the brother of Rama – Lakshmana – is injured and close to death. He needs a particular herb to be revived, the sanjeevani herb which can revive him. 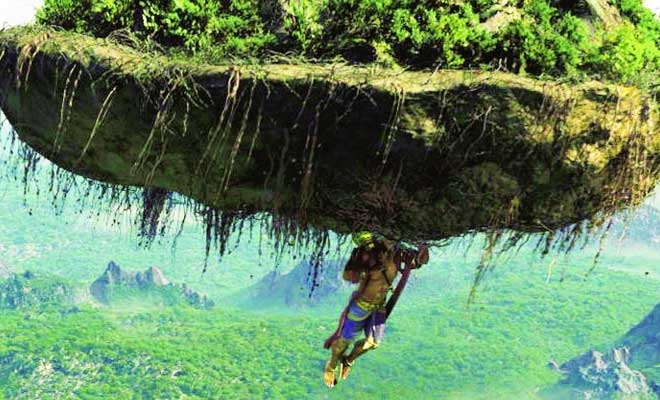 Hanuman does not know what this herb looks like, so he flies to the location where the herbs are found – on a particular mountaintop – and brings the entire hill back with him. Over 400 million years ago when the reptilian beings were trying to take this planet and mould it to their own ends. There are blue crystals under the sands of Krygyzstan, Uzbekistan, Turmenistan, Afghanistan, Iran, and so forth. These were formed when the nuclear war in the skies took place. The extreme heat fused the sand crystals below. Hanuman fought valiantly to defend the Earth and its divine purpose in this corner of the galaxy. Is the story of the Sanjeevani hill related to this ancient nuclear war and the purpose of the Earth in this galaxy? Or does the image of Hanuman carrying the Sanjeevani hill remind us that everything on this planet has been brought from somewhere else in the Universe? That war was lost; Hanuman did not destroy the planet but left it in the hands of the Reptilians. The grand cosmic plan was set in place. Warm blooded creatures would one day walk on Earth and be issued with souls. Galactic beings having their first human birth would experience human family and the love that goes with family and that love which blesses the family. They would take that experience of love back to their home planet in their next birth and thus spread love throughout the known universes, as expressed in the Hindu Prayer, “Samasta loka sukhino bhavantu” … may all the beings in all the worlds be happy. It is said that Hanuman learned the Vedas from the Sun which – in the higher dimensions – is forever in alignment with the Central Sun of all Universes. It is the practice of the teachings contained therein (which Cosmic Sai Baba has summarised as “Help Ever, Hurt Never, Love All-Serve All” which brings both light to the Earth and love to the hearts of all who walk on Earth. We observe Hanuman Birthday on this occasion and remind readers of the constant utterance of Cosmic Sai Baba – and all who serve with Him in the Hierarchy, the Karmic Board and the Angelic Realms – that whenever we turn and ask for help, help is always given. © Chris Parnell, 2016. All rights reserved.